Gov. Eric Greietens signs HB 662 into law at the Fisher Delta Center in Portageville on March 31, 2017. 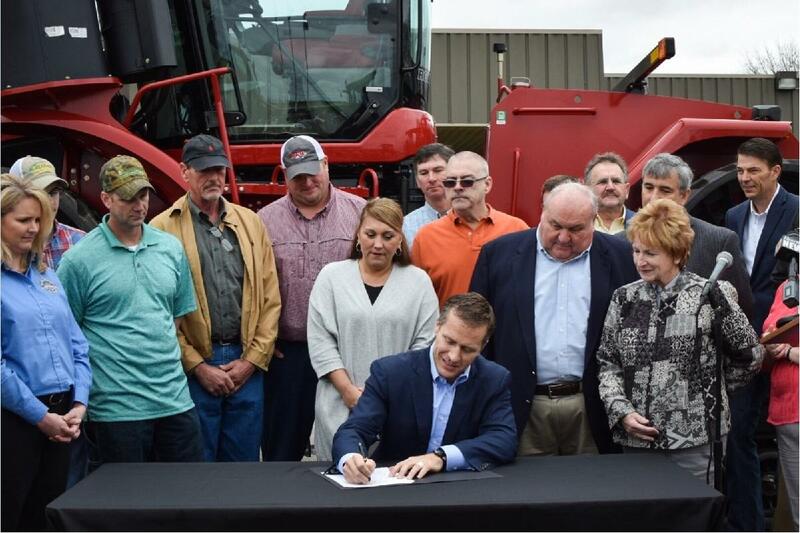 The new law gives the Missouri Department of Agriculture the authority to levy fines of $10,000 per violation for anyone who doesn’t follow safety guidelines for using herbicides and as a result contaminates someone else’s crops. Repeat offenders can be fined up to $25,000 per violation. The new law takes effect immediately, courtesy of an emergency clause approved by the House and Senate before sending it to the governor’s desk. Updated March 13, 2017 – Legislators have strengthened a bill designed to curb misuse of herbicides in Missouri. House Bill 662 easily passed the Missouri House last month. 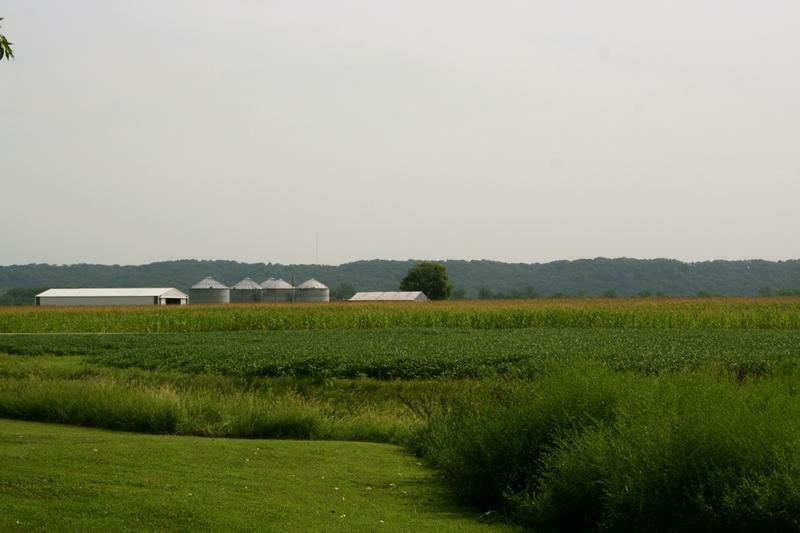 Originally, the bill would have allowed the state Department of Agriculture to issue fines of up to $1,000 an acre for first-time offenses and up to $2,000 an acre for repeat offenders. But on Monday, a Senate committee boosted the fines to $10,000 per violation before passing it unanimously. The sponsor, Rep. Don Rone, R-Portageville, says the tougher penalties don't bother him. “We have got to do what we can to get this across the finish line so the growers know these penalties,” he said. The bill would use money collected from the fines for local school districts. House Bill 662 next goes before the full Senate. If it passes there it’ll have to go back to the House so it can also vote on the stricter penalties for misusing herbicides. Original story from Feb. 24, 2017 – Overwhelmingly, the Missouri House believes that farmers who misuse herbicides on crops and orchards should have to pay up. On Thursday, they passed House Bill 662, 147-8. The measure would allow the Department of Agriculture to fine first-time violators up to $1,000 for each affected acre. Repeat offenders would have to pay up to $2,000 an acre. The current fine is $1,000 per incident, regardless of the number of acres impacted. That’s too small to be an effective deterrent, said House bill sponsor Don Rone, R-Portageville. 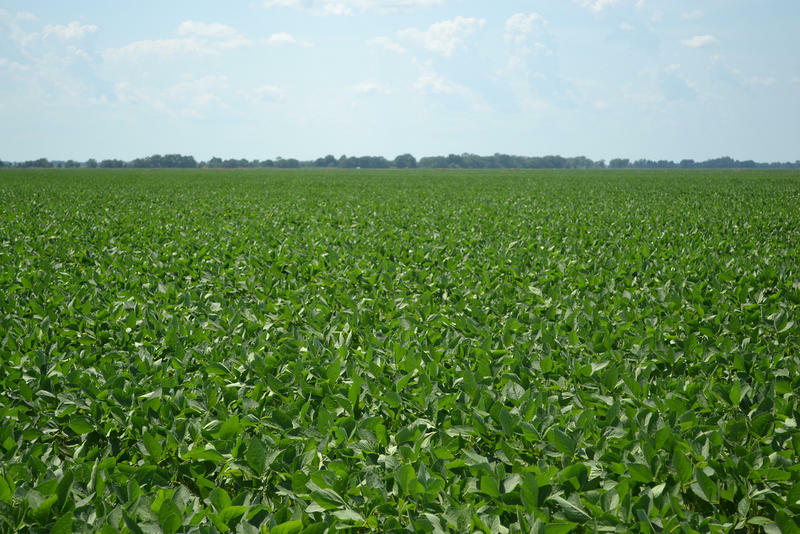 The Department of Agriculture saw more than 120 complaints last summer over illegal pesticide spraying in the Missouri Bootheel. More than 400 fields, encompassing nearly 40,000 acres of peaches, cotton, corn and soybeans, were contaminated by misuse and illegal spraying of the pesticide dicamba. With spring planting not far away, Rone wants to get the measure to Gov. Eric Greitens for his signature as soon as possible. "(Farmers are) preparing for a planting date of the middle of April for corn, the last of April for soybeans and cotton," he said. "We need to have this in place so the new penalties will be there and the growers will know that the new penalties are there." The Senate is considering a similar bill, though fines would be $10,000 per incident. Missouri lawmakers continue to follow reports of illegal spraying of crops in the Bootheel region. So far, 124 complaints have been made of people using an outdated version of the herbicide dicamba. Investigators from the Missouri Department of Agriculture have been looking into the complaints over the past few months. 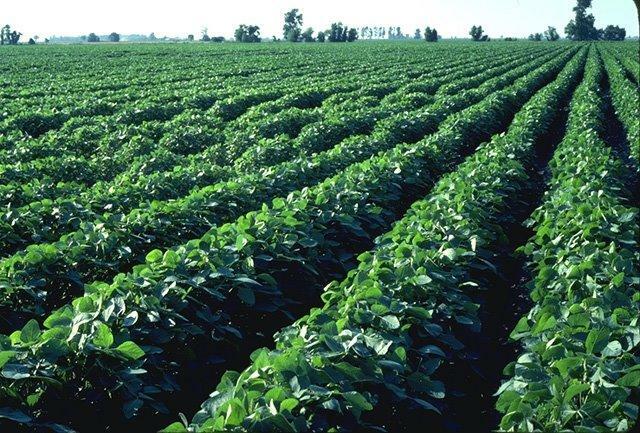 Missouri agriculture officials are looking into widespread misuse of pesticides in in the Bootheel region. Judy Grundler is division director for plant industries within the state's Department of Agriculture. She told a state House committee on Thursday that there have been 115 complaints in four counties of pollution caused by pesticides in the past month alone.